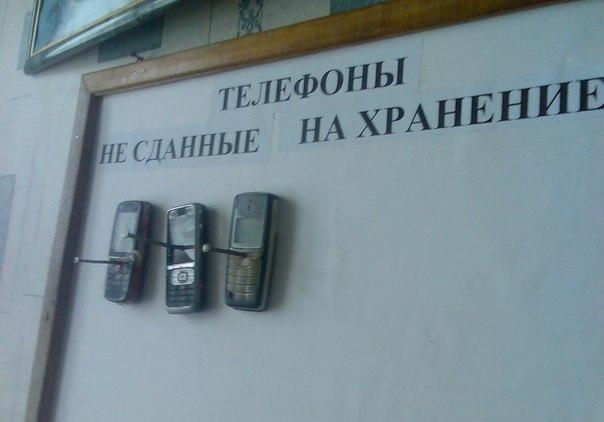 In the Russian army soldiers are not allowed to carry mobile phones or smartphones. They can only use them during their free time, because they are considered to be working with secrets. 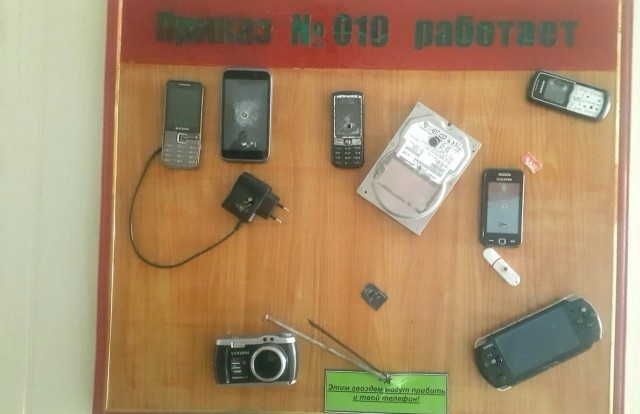 However not every soldier hands in his phone to the commanders, and this is what happens with such phones if they are found. 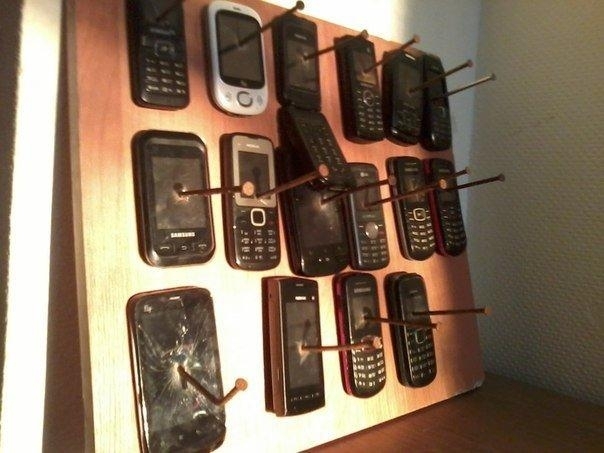 “Phones of the losers” and every phone is signed with the soldier’s last name. “Order N010 is working”. There is probably a special order number 010 in this regiment prohibiting mobile phone use. 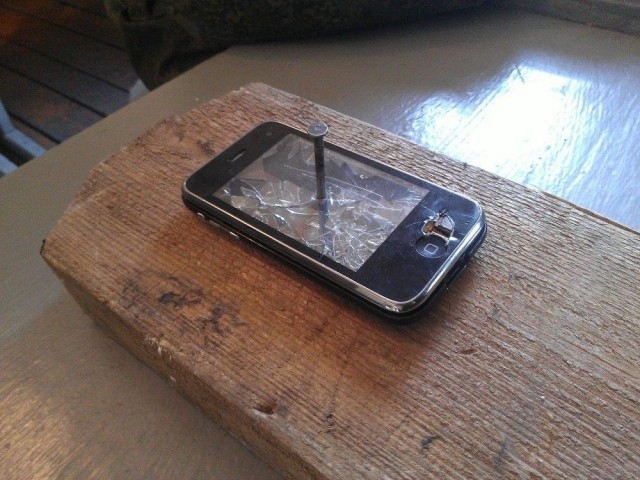 Also the green paper says: “This nail can be smashed into your phone”. 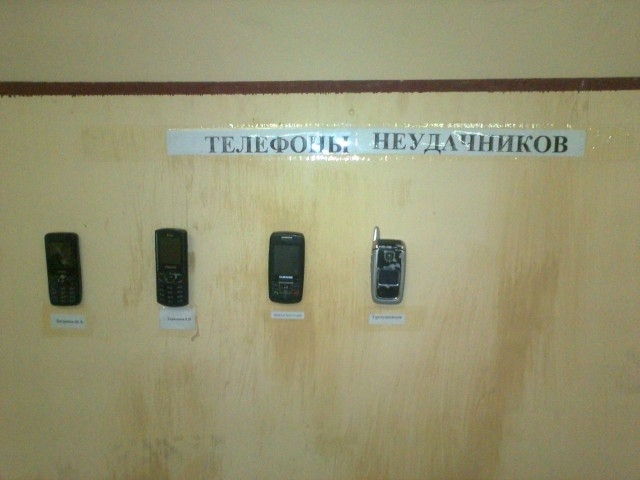 Also note there are not only phones on the board, also a camera, a PSP and even a hard disk and mobile phone charger. There are also memory sticks and cards. This is from the Russian Navy. 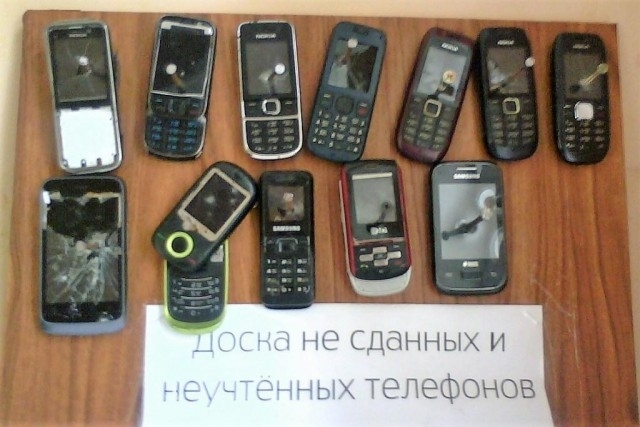 Every phone is smashed with a nail and signed like “Sailor Ivanov, Captain Sergeev”, etc. So even officers are punished. “We, the scouts, have read and understood Ministry Defense order N010 (again) about protecting state secrecy”. So there is indeed some order after reading which you are risking having your smartphone smashed with a nail. 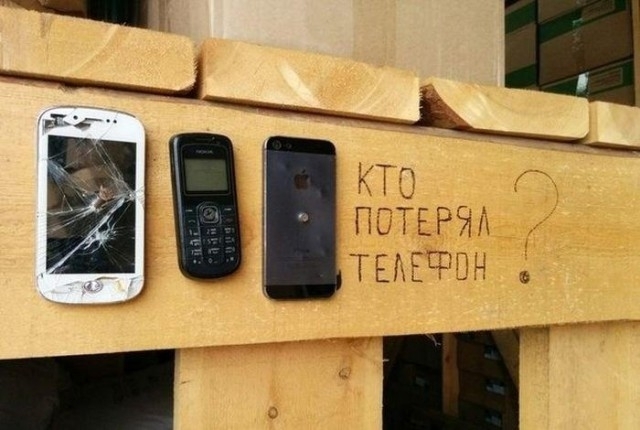 “Who has lost his phone?”. Dark sarcasm. 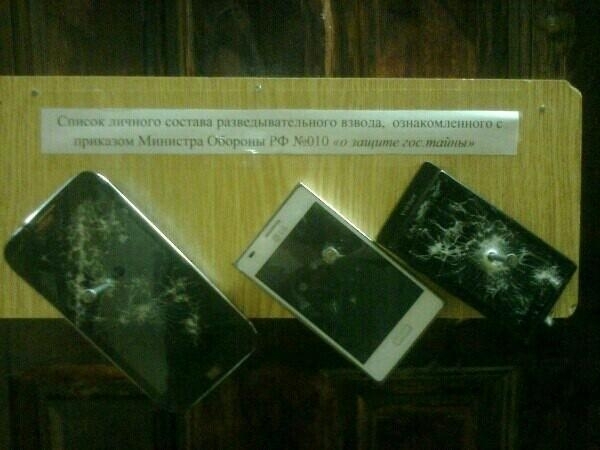 Please note how an iphone is merciless smashed too despite its higher price. 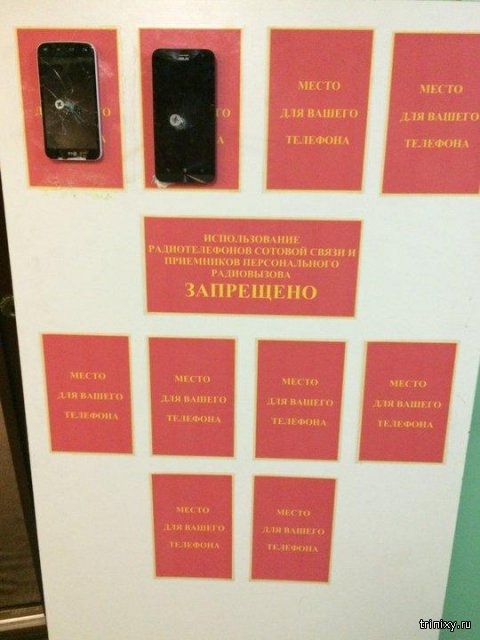 “Board of the phones that were not handed in”. Brief and clear sign for everyone. And one more, again just “phones not put into storage”. 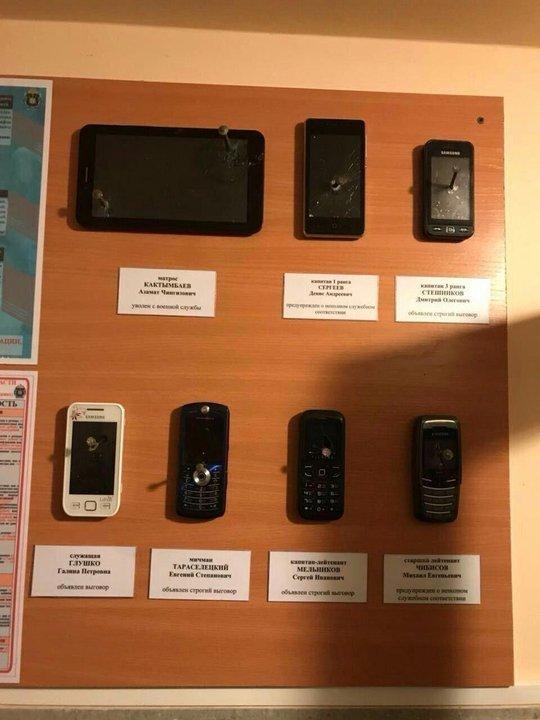 So if somehow you get into the Russian army, please hand in your phone to your commander or you risk getting it smashed! The Commanders are being creative to make a point. In any army there are always those few who flout the Rules. Bye bye cell phone. Very good! Rules and regulations are made to be obeyed; not compliance? Bye bye iPhone, BlackBerry, Samsung, Motorola, etc. Excellent treatment for them. Too bad for the silly ones who decide to ignore the rules.